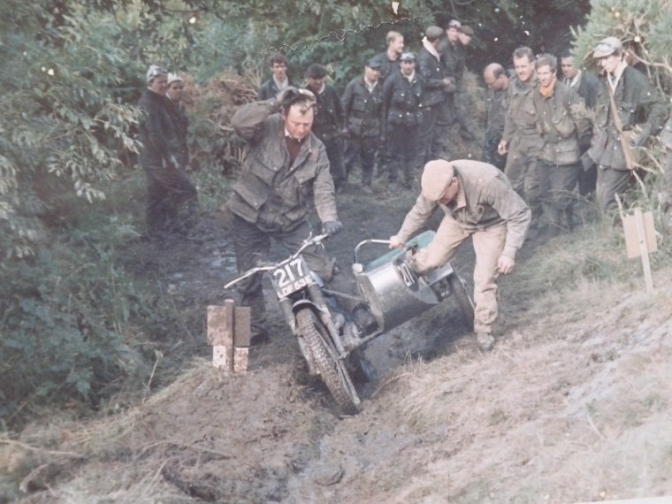 Gordon Jackson riding Ron Langston's "Traditional" Ariel HT 500. Ron and John Langston. Below. Ron had too many revs on to the turn, but the long stroke Ariel soon cope'd with the situation, and Ron has never lost his touch. and I am sure he would go along with the (traditonal) format. This is the sort of section needed back for the older machine. "Camp" in the Cotswolds. And this is the type of machine that we are hoping Club officials will give a chance to come back out of the cobwebs to compete, Mick Andrews loved it. ask him. The AMC forks were to long on this bike but Mick did not let that bother him and put on a good performance despite that. Right this was Deryk's idea back in 1998. so should we give it a go now? So If you have read the above should we try and do this again in 2017, or is it to late. Is what we want to achieve? I am sure that Deryk would give his full backing to this idea. The "Squire" of Stratford Upon Avon. 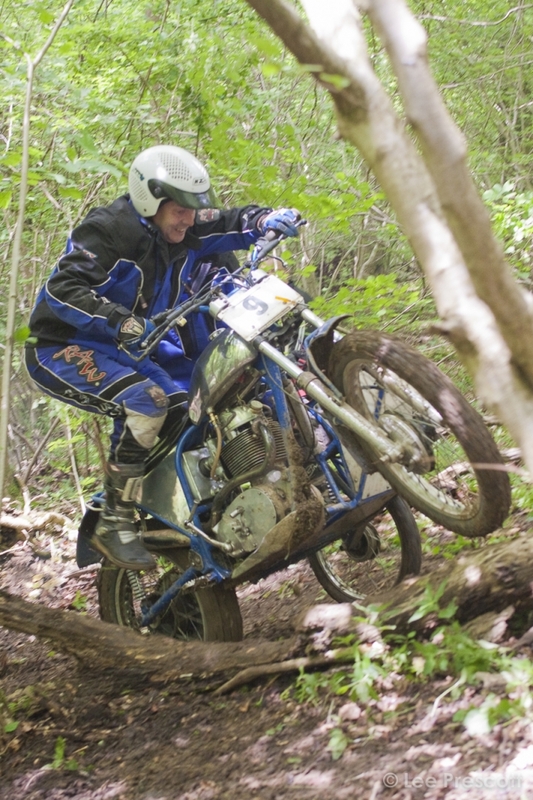 Riding the superb Mick Ash 500 Ariel? 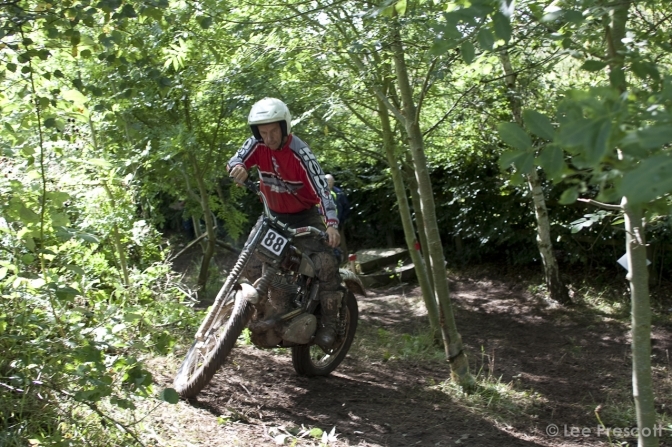 Classic Trials Show action 2010. These are the sort of sections we are looking for,quite wide and following the natural line. 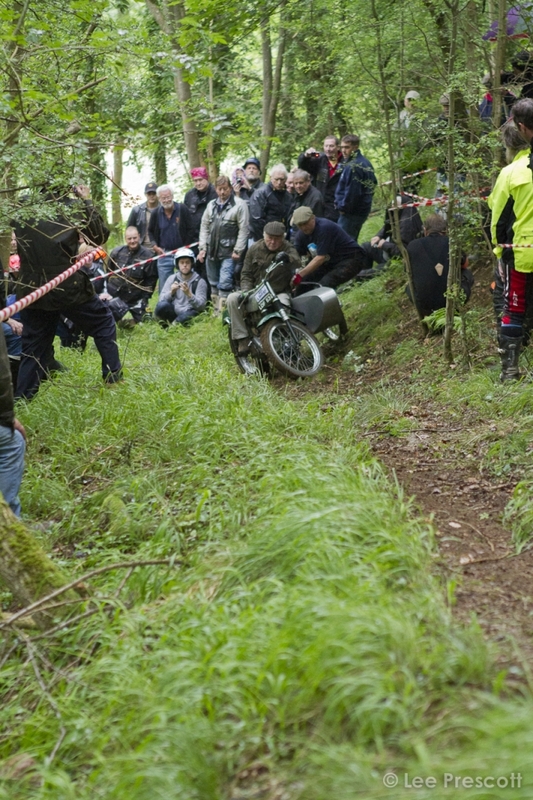 A couple of hill climbs would be good too, or a line up the middle of a stream etc. We made the best with what we had that weekend at Stoneleigh but all sections were of the Traditional type, and ask anyone who rode there, if they enjoyed the week end or not. The videos above are dedicated to the memory of Len Hutty, RIP fella. I think I prefer Traditional to get a shorter version, I've also remembered another of my stipulations - that one of the sections should be set intentionally on the 'easy side (without it being too obvious) so that EVERYBODY goes home saying,I cleaned that section. I think that the main machine guide line would be to just enter on a "Traditional" Classic Pre-unit machine. The idea is to have fun riding sections that you and I grew up riding. Anyone wishing to have a days "Sport" would be more than welcome, and how easy the sections to some,they would always get caught out. These type of sections don't need someone that can balance a bike stood still, they need someone who can ride. The other is that my initial separation of classes for my British Bike and Sammy Miller series was actually spot on and should be retained. So these would not get an entry. Should we include a class for Unit Side-cars? or would they be just classed has Springers? And only have the one category. I know we really should. Do we allow side-cars such has the Kendal type with the shaper nose section? Or do they have to be the more rounded type mostly with frame tube outside? To my mind this would put off an owner of an age related Trials Side-car Outfit, if he or she had to modify the side-car. Do we stipulate the old trials marking too? IE. 1,3,5, and drop the 2, used today, makes life far simpler for a first time observer too. Below, is a Very clever Ben Butterworth impressed yes but , every-time you stop in a traditional trial you loose 5 marks. one of the suggestions. But unfortunately Ben would not get a ride on the ex Neil Gaunt machine? tooTrick. 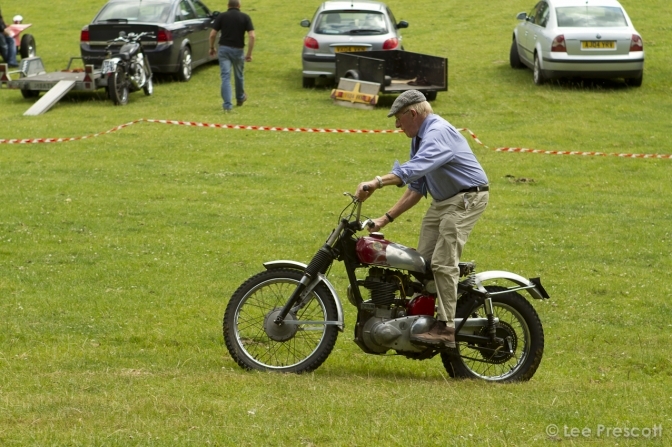 Photo courtesy of Nigel Wynne, Classic and Vintage Motorcycles. Ian Hannan and Sue Smith, Sam Cooper Union Jack trial 2010? should we cater for unit sidecars as there are now less Pre-unit about. Sam Cooper Union Jack again 2010? Weston Wood? Ariel five hundred. Crewed by John and Paul Young. "Barrow Boys" always have Fun. 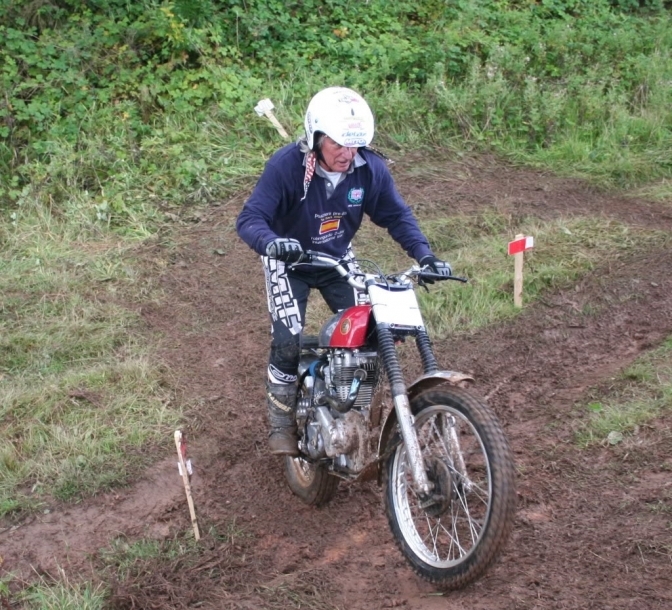 Al Usher sent me some pictures from there trial last week. and they now have this class below tagged onto there trials format. And if you look at the pictures you can se that this is what Deryk and I are on about. 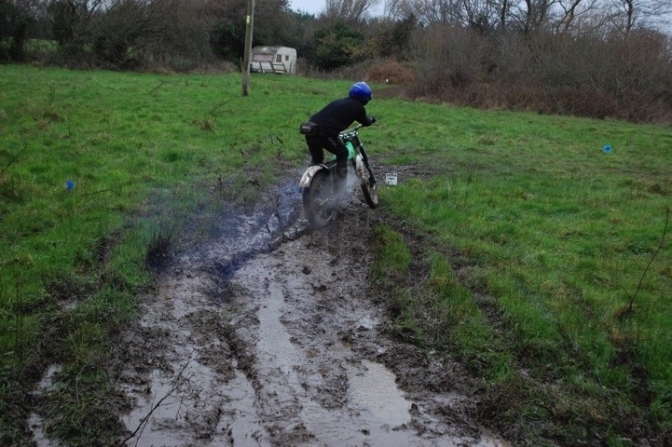 BMCA Beginners Route: All Trials shown in BLUE on the fixture list will include a Gentlemen/Beginners route - riders must enter the section through the Section Begins Cards and exit through the Section Ends Cards but can ride anywhere within these markers. Riders numbers will indicate the route allowed. 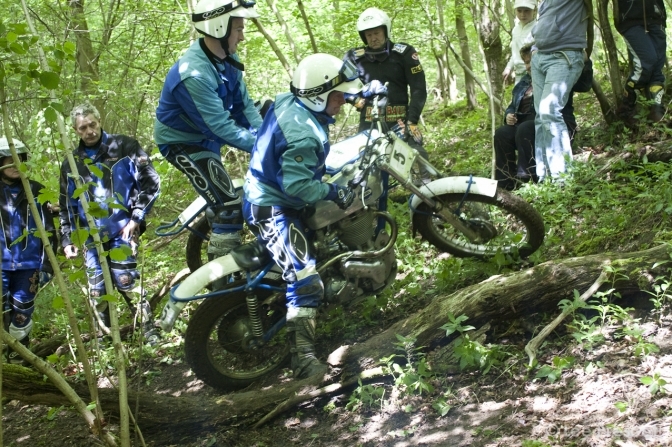 I am going to do a page for the BMCA just for photos on the Blue route at there trials. And we will then see that this is the way to have fun. Charlie:> They now have two pages. Charlie:> lets start off how we intend to go on. Get that bike out of the shed now.